All of our equipment is in the water and ready to go! 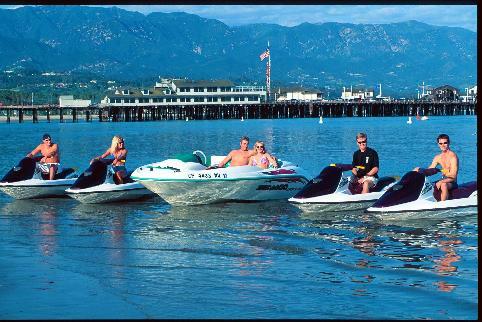 We�feature hourly rentals of late model�1 to 3 person Sea Doo, Yamaha and Honda�watercraft. To complete our fleet we also offer�the original stand-up, Kawasaki Jet Ski . Located in the Santa Barbara Harbor at 301 W. Cabrillo Blvd.